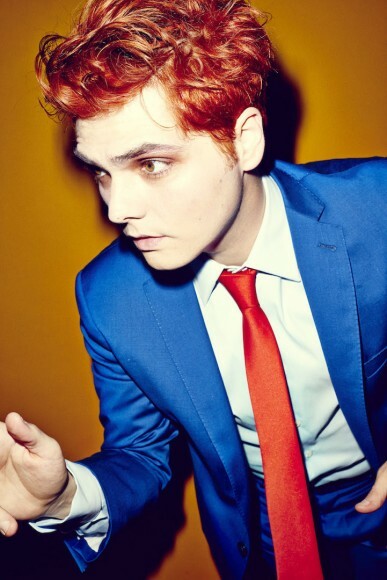 Roughly eighteen months after the demise of rock group My Chemical Romance, former MCR vocalist Gerard Way is releasing his first solo record, Hesitant Alien. Citing several influences, such as Jarvis Cocker and Frank Black, and utilizing various fuzz effects on guitar, Way’s debut solo effort will remind fans that even though MCR has ended, Way himself has just begun. The single, which was recently posted in an audio-only video on YouTube, features a Gerard Way that somehow seems younger than he actually is (Way is three years shy of turning forty). The energy of the track and the vocals in particular make it seem as if Hesitant Alien could have rivaled Green Day’s Dookie had it come out twenty years ago. Hesitant Alien is due out on September 30th. Listen to the single, “Action Cat” just below here.